The Project interviewed eighty-eight young men between the ages of eighteen and thirty-five to find out about their lives, faith, and faith practices. The interviewees consisted of men of four ethnic groups from six different areas of the United States, who had a wide range of different religious experiences. Some of the men interviewed had never been church members, some went to church as children but then left, some came to faith and membership as young adults, and some had been believers and active in church their entire lives. The one-hour interviews uncovered lively and engaging life stories that revealed each man's unique faith path, core beliefs, and purposes and relationships with God. The results were reported back to the young men for verification of fullness and accuracy. The interviews uncovered eleven common themes of concern such as the importance of male mentors. One major theme was the stress and meaninglessness of work, which was seldom seen as a spiritual part of their lives. On the other hand, they did consider the importance of sports and nature (outdoor activities) to be part of their spirituality, i.e., those activities in which they saw themselves as most alive, connected to others, and at their best. Other concerns that were covered in the interviews included family relationships, life-defining experiences such as crises, service to others, and spiritual hunger (usually expressed in non­religious language). Very few of the interviewees had an in-depth knowledge of Jesus' life and ministry and did not relate him much to their belief in God—even the ones who were church members. Their vague spiritualities seemed more like what Christian Smith and Melinda Lundquist Denton noted in Soul Searching: The Religious and Spiritual Lives of American Teenagers as "moralistic therapeutic deism," which consists mainly of "happiness, niceness, and an earned heavenly reward" via any remote god one chooses. 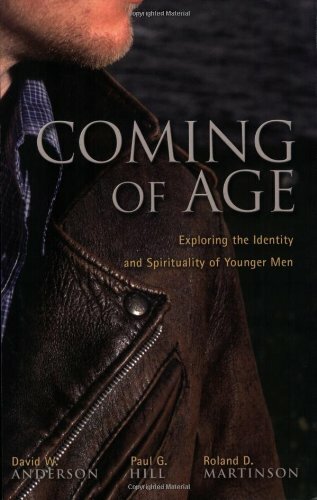 This window into young men's spirituality presents daunting challenges to churches. Though the advice offered by the authors is not new, it is certainly helpful and welcome. They call for churches to implement new approaches, such as "Go out to them, rather than waiting for them to come to the church" or "Go there, listen, and walk alongside." Add "cyber ministries," "adventure ministries," and "mentor (life coaching) ministries," both for men only and/or for both men and women, depending on demand. They also call for a new vision for women and men to become an "authentic, egalitarian, mutual humanity" and recommend that churches study their book or Mary Stewart VanLeeuwen's book, My Brother's Keeper. The book's main audience may be Lutherans and egalitarians, but it certainly deserves a wider audience due to its easy reading style, its clear explanation of the problem, and its helpful advice for pastors and lay leaders. Although some and maybe even most of the advice is directed at helping men, much of the advice is likely to also be of help to many if not most women. Craighton Hippenhammer is a professor of information technology at Olivet Nazarene University and an elder in the Reformed Church of America. Craighton and his wife Linda have two daughters.